Really enjoying a bottle from your favourite winery isn’t just about the flavour, it’s about the whole experience. From decanting to pouring to tasting and savouring – preferably with gourmet delights, and in the company of good friends – there’s a lot to take in. Give your clients or guests a fabulously rounded experience; include custom wine glasses in your present. 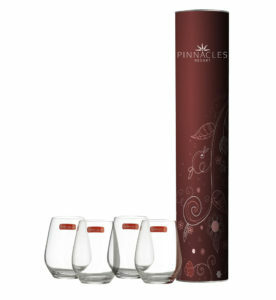 To enrich and complete the drinking experience, order personalised wine glasses in Australia from us. We offer a wide range of different styles and sizes with elegant etching and printing. From simple sets of two wine glasses apiece, to impressive grand decanter sets with four custom glasses apiece, it’s all up to you what kind of statement you want to make! The branding options are endless; don’t forget, you can customise labels and packaging too. Our superior selection of glassware and accessories is sourced from around the world. 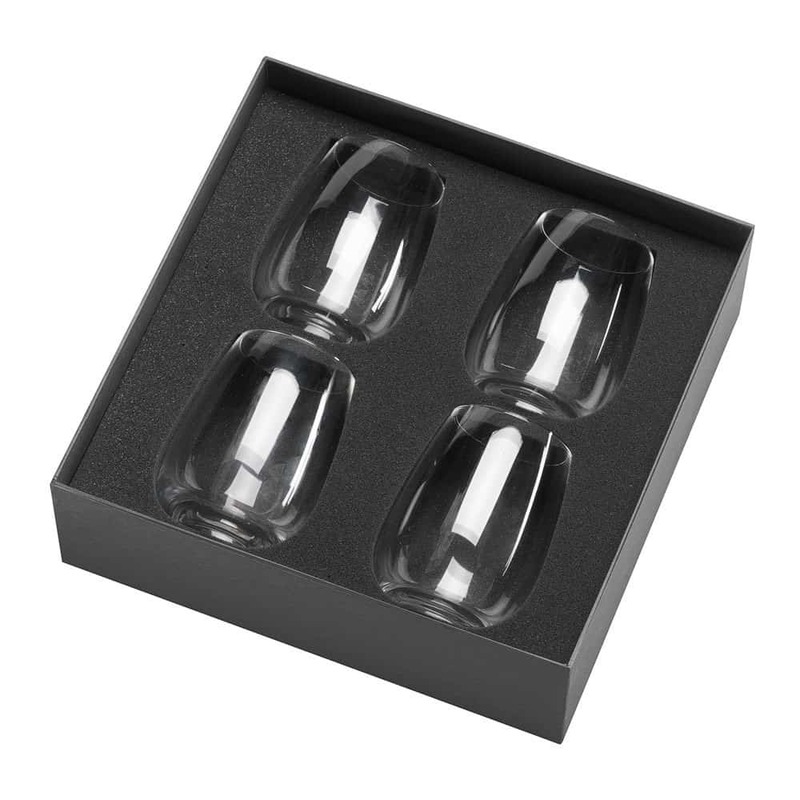 We don’t just use no-brand designs to make our custom wine glasses; in Australia, you can get premium European brands with your own logo or message. Popular options include the sleek Spiegelau champagne flutes, all the way from Germany. 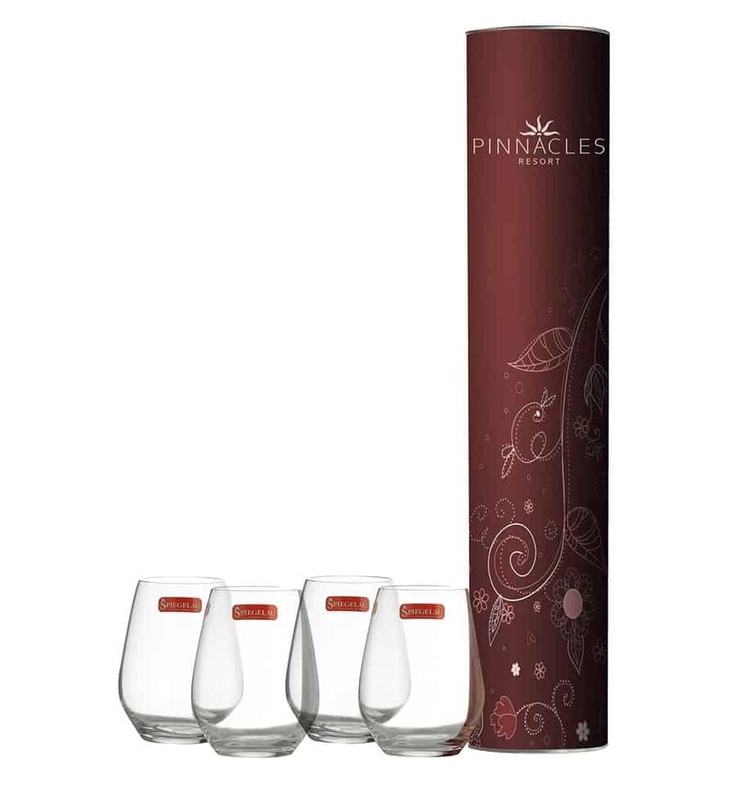 The Stolzle-Wineland decanter set is popular as an employee award of VIP gift. For those who prefer a different kind of brew, Luigi Bornioli pilsner crystal is perfect for chucking back coldies in style. Depending on your requirements, we may also be able to source other designs and sizes for you. Looking for personalized wine glasses, accessories, and gifts for real connoisseurs? Don’t miss our prestige selection. These box sets bring together the best of our exclusive wines with personalized wine accessories including glasses, vinoglobes and more. Don’t see precisely what you’re looking for? 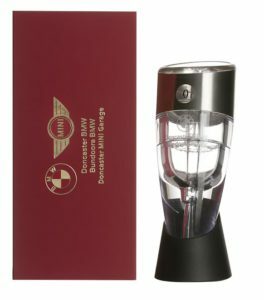 We’re happy to prepare something from scratch; we’ve provided our valued clients with all kinds of exciting extras, from leather wine carriers to corkscrews. Stylish, functional, beautifully designed. For true enthusiasts!